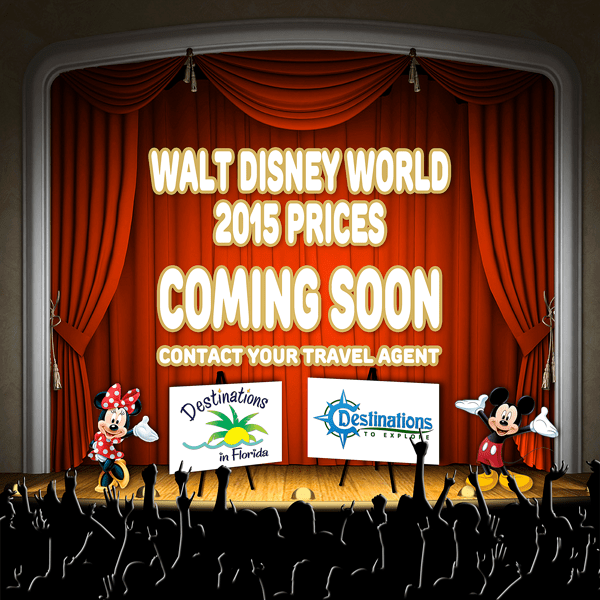 Have you been waiting for 2015 Disney package prices? The wait is almost over! We have just learned that 2015 prices will be released on July 30th! What does this mean? This means that I will be up bright and early on July 30th getting quotes together for all of my guests! If you have been waiting for a 2015 quote, let me know so I can add you to my list! For my loyal Orlando Fun and Food readers, we have a special promotion going on. 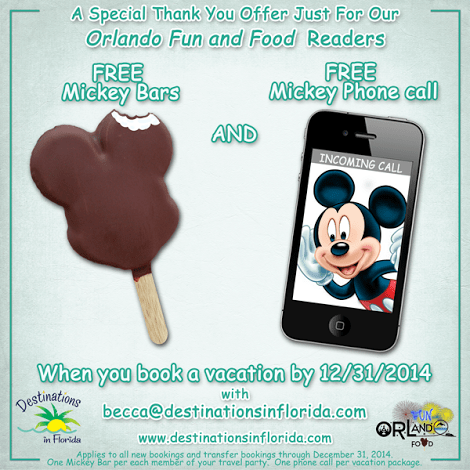 When you book your vacation with me now through December 31st, I will send you a FREE Mickey Bar AND A free Phone call from Mickey, and as an added bonus, ALL 2015 Orlando Fun and Food bookings will receive a free pair of Mickey Ears for each child traveling! Be sure to contact me today by clicking the Destinations in Florida banner above and requesting a quote, calling me at 757-532-1438 or emailing me at Becca@destinationsinflorida.com.